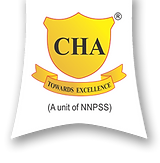 CHA College of Hospitality Administration is one of the fastest growing Hotel Management Institute in India , managed by non profit making organization NNPSS Regd. by Rajasthan Government , SALC of Bharathiar University ( State Level U.G.C. recognized University) under Govt. of India. The Institute is the member Hospitality Educators & Recruiters Association , Indian Housekeepers club , Hotel & Restaurant Association of Northern India and Hotel & Restaurant Association of Rajasthan . He has carved his Success. He started his career in the cut-throat Corporate & Hospitality world with the ‘Taj Group of Hotels’ in 1994. He has held various positions in Hotel Industry of Gulf region i.e. Dubai, Bahrain etc, along with other countries. Mr. Anand Yadav is an MBA in Hotel Management having 21 year-long magnificent career, helping turn-around and develop various business projects Nationally and Internationally. A Master at negotiation skills & business psychology, F&B and Hotel Operations, he has moulded College of Hospitality Administration to the present position as one of the finest educational institutes in the country. He has also held the position of General Manager (Operations & Sales) in Swiss Indo Retreat and Excursions Pvt. Ltd. from 2001-2003. B.Sc. & LLB(Raj. Judicial Services) “HE ALWAYS BELIEVED IN LIFE – HONESTY & SINCERITY” He laid the foundation of Noble National Public School Samiti (NNPSS) in 2002 NNPSS is a nonprofit making organization regd. by Rajasthan Government. It is engaged in various philanthropic activities towards female child education, youth employment, formal and informal education, eco-friendly environment and help poor in their livelihood. We salute his Honesty, Dedication and Vision. Highest Qualification PG-Industrial Psychology & Org. Designation Mgr.-Brand & Business; Mgr.-H.R. Designation Guest Faculty – Computer App. Mumbai Head of Demi Prepared food.